Enter the description for the payment about to be initiated. This is required and will be associated with this payment in your payment record. Choose whether you are making a payment to a Contact or a Group and enter their information. By default, all transfers must be made to existing contacts, so if necessary, add a new contact. 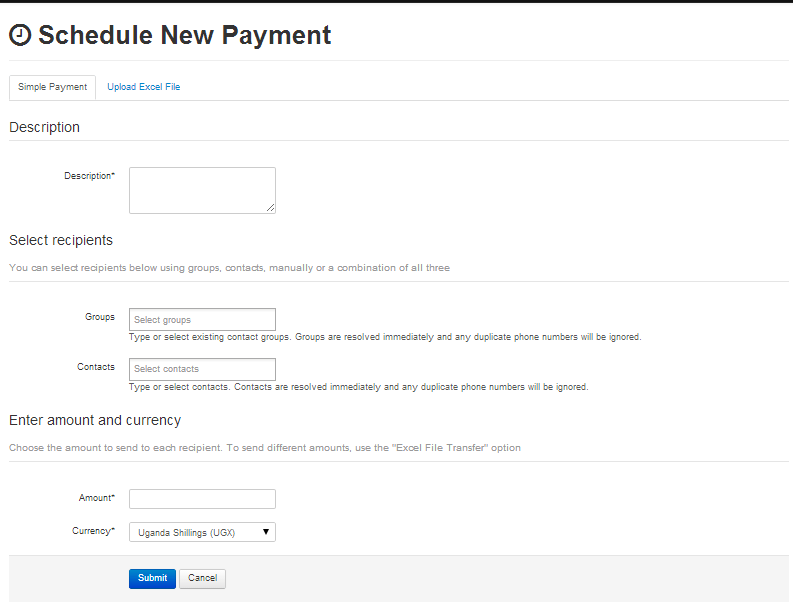 If you have payment scheduling enabled, you will also see an option to schedule payments. 2. Upon clicking submit, the payment will then be scheduled and you will be taking to “Payment Schedule Details” screen. Just below “Payment Schedule Details” it should read “Your transfer has been created. Track its status below”.